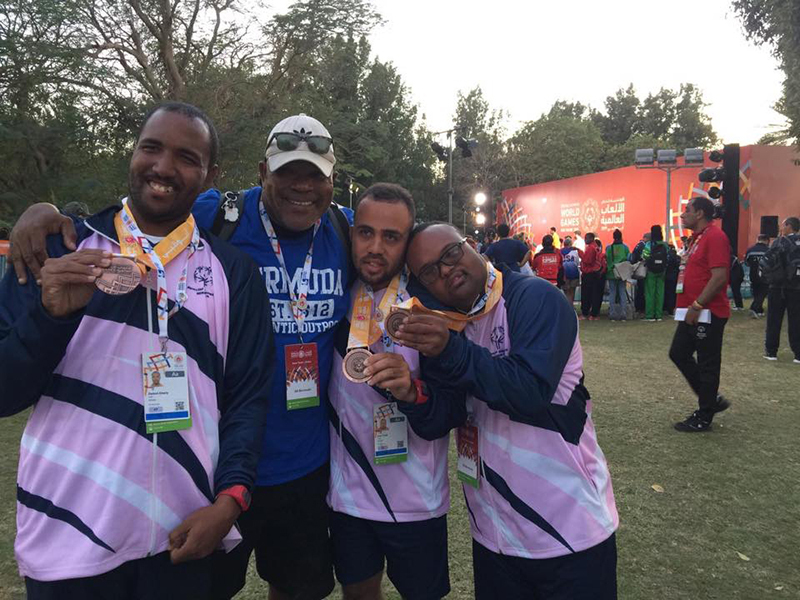 Bermuda’s athletes continued competing in the Special Olympic Games in Abu Dhabi, and continue to make impressive showings, with the team now increasing their medal tally to 17. 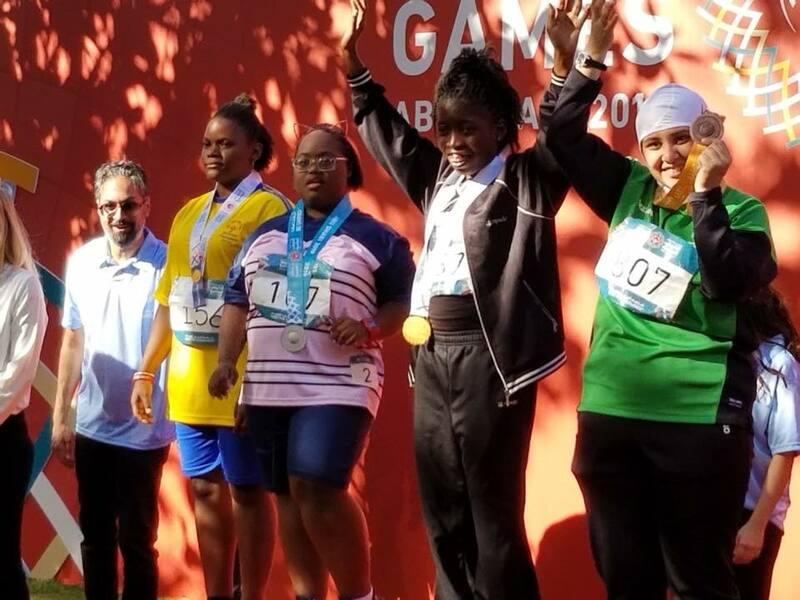 These Games have eight places on the podium, and Bermuda has won a total of 17 medals with 3 silver, 5 bronze, 5 fourth place, 2 fifth place, one sixth, and one eighth place medal. JaNaysha Maloney was clocked across the line in a time of 31.80 during the 100 meter walking race, while Solay Thomas was clocked in a time of 31.74. As this time exceeded the maximum effort rule in Special Olympics, which states that you cannot go faster than 25% of your qualifying time, both of walkers were awarded participation medals. Despite the technical timing issue, the pair were excited, as they walked a great race as they represented Bermuda on the world stage. Kirk Dill won a bronze medal competing in the category M22 100 meter race with a time of 15.34, while Damon Emery also captured a bronze medal during the 100 meter M24 race stopping the clock in a time of 14.70. With a time of 13.81, Kris Trott collected another bronze medal in the M26 100 meter run. Very good effort to all the participants. A job well done.